While we at Mediacurrent have been trying to bring internal focus and organization to our contributions, the rest of the Drupal community was planning a “Sprint Weekend” for January 17th and 18th. For those who've not experienced one of these - imagine a user group meeting where everyone works together on contrib tasks - writing patches, reviewing patches, improving documentation, etc. Now imagine tens of such user groups happening on the same weekend all around the world, and collaborating via IRC, Twitter and the Drupal issue queues. Originally conceived by Cathy "YesCT" Theys, a suggestion by Angie "webchick" Byron turned a small local code sprint into the first Sprint Weekend in March, 2013. This year marked the third such event, and they have become a regular part of the Drupal community, each one providing a nice boost in development for core and contrib alike. A few of us did put in some time working through some things. Jeff Diecks (yes, our Senior VP of Professional Services!) proved my motto of "everyone has something they can contribute" and started us off by re-testing all of the available patches for Metatag and Panelizer. Jeff's work helped us find some issues that needed just a little bit of work to get them ready for review, so along with Rob McBryde’s previous work doing the same re-test shuffle on the Panels module, there were plenty of things to work on. Over the weekend we had a few join in the patch reviewing and re-rolling fun. 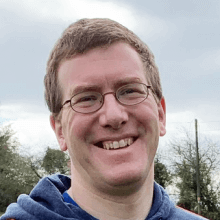 Matt Davis continued his previous work of making great progress going through the CTools and Panels issue queues, and volunteered to co-maintain a module. Michelle Cox also continued her progress on the CTools and Panels issue queues, occasionally tag-teaming Matt on reviews. Meanwhile, Mario Hernandez worked on some UI translations, while Derek DeRaps worked on an improvement for Bob Kepford’s WysiField module. As for my own participation, my personal highlight was putting together new release candidates for both the D6 (v6.x-1.2-rc1) and D7 (v7.x-1.0-rc2) releases of Panels Everywhere; while not the stable releases I was hoping for, they're still great improvements and pretty solid points to work from. I also put a little work into some Panels, Metatag and Panelizer issues, bringing the latter close to that long-sought-after v7.x-3.2 release. While our participation in the third Sprint Weekend was a little limited, we were still able to make some good progress on a few things. I'm hoping that next time we'll be able to do something slightly more official and get more involved, but I’m quite happy with our accomplishments. If you’re interested to see what the community worked on over the weekend, just search the issue queues for the tag “SprintWeekend2015”.